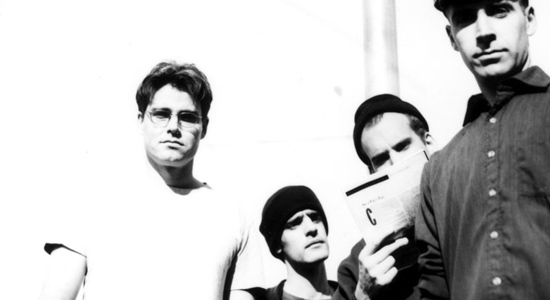 Dischord will issue Fugazi’s entire first demo from 1988, including a previously unreleased track, on November 18 … After an eight-year hiatus, Damien Rice is back with My Favourite Faded Fantasy, due out November 11 via Vector/Warner Bros. … From The Vault is a new series of releases from Eagle Rock featuring live concert films from the Rolling Stones archive. The first installments, Hampton Coliseum: Live In 1981 and L.A Forum: Live In 1975 will be available November 4 and 18, respectively … Flake Music’s When You Land Here, It’s Time To Return will be reissued on November 25 by Aural Apothecary and Sub Pop … The seventh solo album by Annie Lennox, Nostalgia, is set for an October 27 release by Island … A 13-disc boxed set containing all 10 of Johnny Mathis’ Global/Mercury releases, The Complete Global Albums Collection, will be released via Columbia/Legacy on November 17 … The first-ever live album featuring the late Whitney Houston’s iconic performances, Whitney Houston Live: Her Greatest Performances, is due out November 10 via Legacy … On November 11, the Doors’ never-before-released documentary film Feast of Friends will see the light of day, courtesy of Eagle Rock … New West has announced the October 14 release of An American Christmas, which will feature holiday tracks by Johnny Cash, Bob Dylan, the Band, Emmylou Harris and more … Three-disc anthology collection R-KIVE, featuring the work of Genesis, will be available from Rhino on September 30 … All Of You: The Last Tour is a four-CD set of live recordings from the Miles Davis Quintet Featuring John Coltrane’s 1960 tour, to be issued by Acrobat on December 2 … In other Coltrane news, Offering: Live At Temple University documents a Philadelphia concert by the legend from Nov. 11, 1966 … Morrissey’s rare 1995 live concert film, Introducing Morrissey, is now available on DVD for the first time by Rhino … Eagle Rock will issue the film of Monty Python’s 2014 reunion shows, Monty Python Live (Mostly): One Down Five To Go, on November 11 … The solo works of Queen’s Roger Taylor will be celebrated on two collections: Best, due out October 27, and The Lot, on November 11, via Omnivore … November 18 will see the release of Different Every Time (Domino), a compilation album featuring the works of Robert Wyatt. On September 23, Barsuk will issue B-Sides, a rarities collection of previously unreleased tracks and bonus material from Nada Surf.